Driving days can be a nice reprieve from the long hiking days in the sun, but there’s a limited amount of adventure you can have when in a car for six hours. Rachel and I both have thesis related work to make progress on and that takes up a fair deal of time. 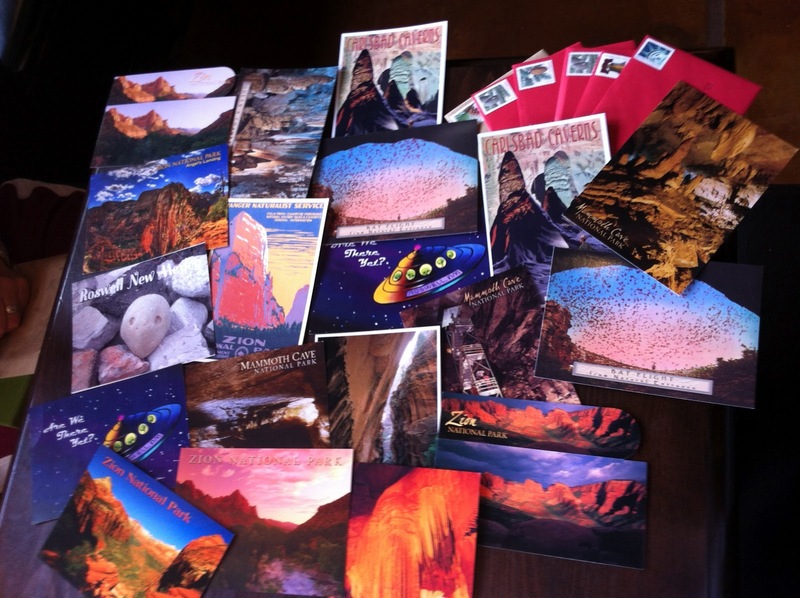 However, we also absolutely love to write postcards. We try and buy a few at each park gift shop we stop at, as well as some pit stops along the road. Roswell, NM was a prime post card purchasing location. Pretty much everyone who provides an address will get at least one during the trip! Postcards ready to be sent out! If you would like to be added to our writing list and know us personally, feel free to send us Facebook messages with your snail mail addresses! If you are a lovely blog reader and would still like a postcard from either Rachel, myself, or both please shoot us an email with your address to alwaysscientist@gmail.com. We also take requests and will write a pretty haiku just for you! EDIT: Errmehgrrrd! 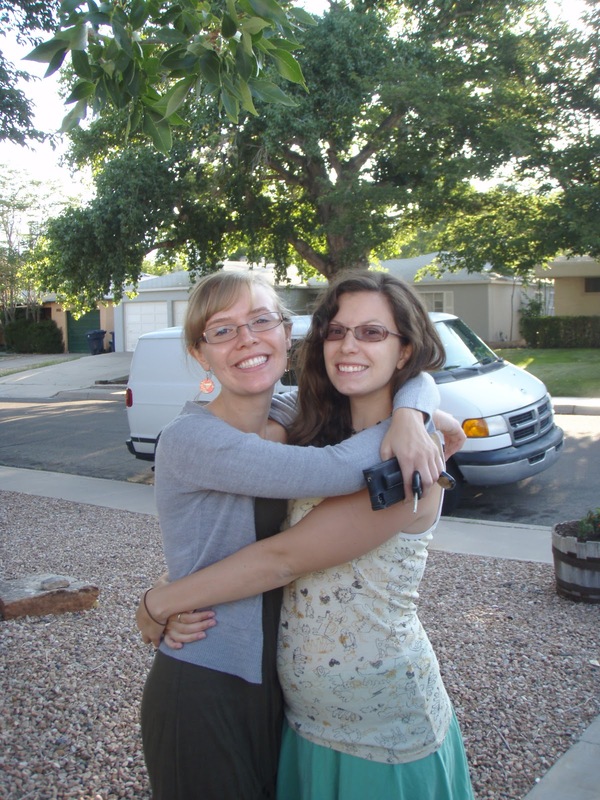 We rudely forgot to mention our gracious host, Chelsea, for taking care of us in ABQ. We got a little spoiled being allowed to shower, feed, and do laundry after just one park. Chelsea provided us with a fine Chana masala dinner and bagel/fruit breakfast that we’ve yet to top. Many thanks to her and we hope to see her guest star again on our trip! Do you still send snail mail?